At the end of 2017 Joris Veltman obtained a Wellcome Trust senior investigator award for research on male infertility genomics. The research, supported by collaboration with many IMIGC co-founders, will include sequencing the exomes and genomes of 1000 men with severe male infertility and their parents, gene expression studies in normal and abnormal spermatogenesis, as well as genomics studies in children born through the use of assisted reproductive technologies. 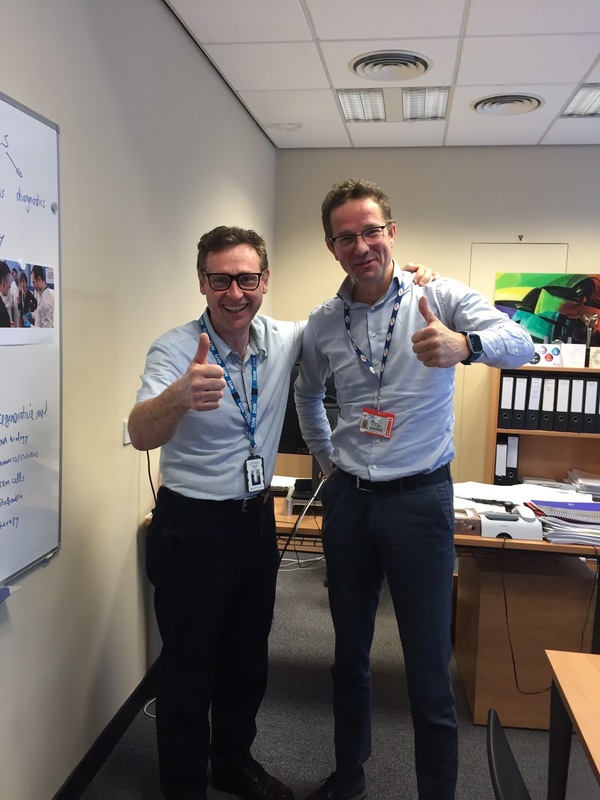 Newcastle’s andrologist Kevin McEleny celebrates Wellcome Trust funding with Joris Veltman!